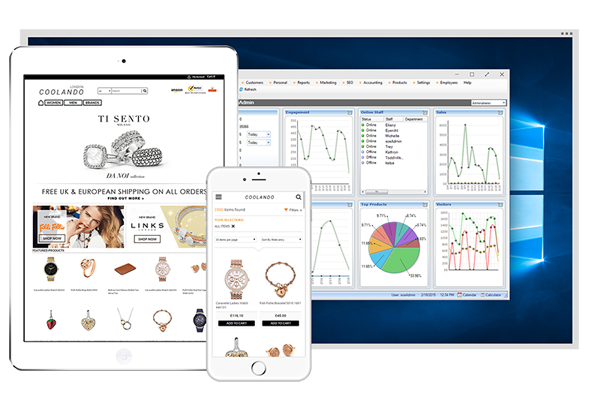 Are you shopping around for an ecommerce platform that works? Need an unbiased Shopify review? We got you covered. Shopify is arguable the best ecommerce platform available. Their platform was founded in 2005 and now hosts over 200,000 online stores. Shopify has helped their merchants process over $12 billion in sales. Is Shopify the solution for you? Let’s take a look. Who is Shopify good for? Due to its incredible flexibility, Shopify is good for individuals and businesses that are looking for a solution to sell products online with ease. It’s ideal for anyone looking for a quick store launch process and customization tools that are easy to work with. 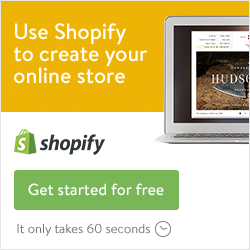 Small and medium stores will benefit most out of everything Shopify has to offer. It’s not good for larger online stores. Certain features are limited that may negatively impact larger stores. Shopify offers a 14-day free trial that you can try here. One of the main reasons of why many businesses choose Shopify is because it’s the easiest hosted shopping cart for building an online store. Both the admin dashboard and the customer end are user-friendly and provide improved navigation options. As with all new things, learning the ins and outs will take some time. Thankfully, learning how to work with Shopify is a breeze and doesn’t require a technical background. Add products with multiple variations – color, size, etc. Add product tags and various search engine optimization settings to rank higher on search engines. Publish products at a specific date and time. Create multiple product collections to organize your inventory. Configure tax settings using multiple options. Configure flexible shipping rates and options. Integrate with fulfillment and drop shipping services. Point a custom domain name to your web store. Accept payments through various payment gateways. Translate your online store in multiple languages – English, Spanish, French, etc. Shopify offers both free and premium ecommerce themes. There are a total of 151 times, but only 23 are free of charge. All themes are responsive across multiple mobile devices. Their premium themes are priced anywhere from $100 to $180. Most of the design functions can be carried out from theme editor page. Here, you’ll be able to edit your store design by tweaking the associated html and css, edit language files, and duplicate your design. The thing that’s neat here is the ability to upload your own theme. Most other platforms won’t give you the option to upload a third-party theme. The coolest thing about Shopify is that their platform has a built-in point of sale system. This tool enables you to sell online and at a physical store location. There’s probably a handful of other shopping carts that have this built right into the software. Basically, their POS system will connect right to your online store and you’ll be able to track various store statistics directly from your dashboard. So if you plan on selling online and in-person, this feature is going to come in handy. On top of their already built-in features, Shopify has the largest ecommerce app store. Their app store features both free and premium third-party widgets and plugins that will add extra functionality to your store. Since their app store is overly extensive, you’ll be able to find anything you’re looking for, from setting up marketing campaigns to improving the default reporting statistics. By now you should know that without mobile ecommerce, you’ll have a difficult time keeping up with the competition. Thankfully, all of Shopify’s themes are responsive across multiple mobile devices and tablets. Shopify’s mobile ecommerce is already built into the platform so your customers will be able to place orders from nearly anywhere in the world. Once a customer visits your store using a mobile device, your store will automatically adjust to the proper size. A Shopify mobile app is also available so that you can manage your store and fulfill orders on the go. All of Shopify’s plans are optimized with the latest SEO technology. You’ll have the option to add H1 tags, page & product titles, friendly urls, and meta tags. You’ll also be able to generate a sitemap containing your products, pages, and blog posts. In addition to everything above, Shopify will give you $100 credit towards Google AdWords to further your reach on Google. Most of the SEO options discussed above can be found on the bottom of “add a product” page. If you think you can succeed without proper SEO practices, you can skip right over it. Each Shopify review is going to have a unique view of their support and ours isn’t any different. Any experienced user can tell you exactly how important it is to have reliable support options. Anyone can run into a problem and it’s good to have support you can contact at any time through the day or night. Thankfully, Shopify’s customer support is truly amongst the best. Their support department is open 24/7 via phone, live chat, and standard email ticketing. On top of their traditional human support, Shopify will gives you access to their active support forum. Prior to writing this Shopify review, I was able to test out the response time and reliability of their support team. I called a Shopify Guru several times throughout the day and night to see how good they really are. The response time for each interaction was incredible, probably the fastest out of any other hosted ecommerce platform. The guru was very knowledgeable and answered my questions in detail. They also pointed me to several easy to follow guides and tutorials so that I can quickly find an answer to my question in the future. I would say I was satisfied and it takes a lot to satisfy me. Since Shopify is a hosted platform, you don’t need to purchase web hosting but I do recommend purchasing a custom domain name from NameCheap. Their hosting servers are monitored 24/7 and guarantee an uptime of 99.9%. Shopify’s hosting is optimized for an online store so you can expect nothing but the best. Shopify is Level 1 PCI compliant, so you don’t have to worry about the security of the data being transmitted through your online store. Each plan will entitle you to a free shared SSL certificate that will further protect the information of your customers. Bad things happen. Sites can crash. Your business information, products, customers, and orders are automatically backed up in their secure data centers every single day. Finally, all Shopify members will receive instant upgrades, so you don’t have to worry about missing new features. Shopify is arguably the easiest ecommerce platform to work with. When it comes time to add more features, Shopify has an extensive app store that will help you add more functionality. A vast majority of their free and premium themes are responsive across multiple devices. Their support team is available 24/7 via phone, live chat, and email ticketing. They have an outstanding reputation and everyone seems to love Shopify. Shopify’s checkout pages can be translated into multiple languages and currencies. Transaction fees can be as high as 2%, depending on the plan selected. These fees can be waived though. Some of their cheaper end plans limit certain features (things like real-time shipping rates and abandoned cart recovery). Is Shopify good for my online store? Finding the perfect ecommerce platform is a daunting task, especially with all of the options available. You’ll never find a platform that’s absolutely perfect without any setbacks. Even with all of the increasing competition, Shopify has managed to maintain a solid reputation. Time and time again, their platform has proven that it can host stores of any size. If you’re looking for a shopping cart that’s easy to use and offers a simple store launch process, you might want to try Shopify. A free trial is available and will give you ample time to test out their platform. So is their cart good for your online store? I think so. What do you think about Shopify?